Pilgrim hops, how they grow and their characteristics, was the beginning and it started off innocently enough. 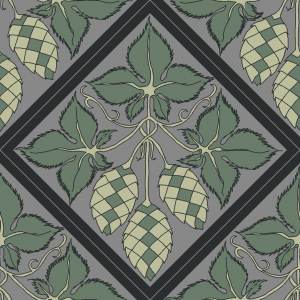 As a small craft hop grower I grow several British hop varieties, including several Heritage ones, which are hard to find elsewhere. Hands-on time spent in the hop gardens soon reveal the vagaries of each individual variety, especially easily are Pilgrim hops, how they grow and their characteristics. Each variety can have very distinct and separate qualities or as I visualise them, personalities. This was the inspiration for my ‘if hops were people’ series. It started with Pilgrim hops, still one of my favourite varieties as they make me smile. Spend a couple of seasons in a hop garden working with these little ladies and you would understand exactly what I am talking about. Pilgrim hops, how they grow and their characteristics are quickly sussed. At twiddling time they produce slim dainty green bines which often climb the strings unaided if left to their own devises, the first teensy hint of their self-willed tendencies. The bines have a short twist which means they naturally stay on the strings unlike some other stiffer varieties, again this appearing to be disciplined is a perfect juxtaposition of their true characters. When you come to pick them at harvest time, they are definitely not fine and delicate, they are like wire netting, so much so when they go through a hop machine they have been known to literally stop it in its tracks. These seemingly fine bines are tough as old boots, which is why we always pull them back hard at training. If too many go up the strings on their accord, by harvest they are too thick and exhausting for everyone feeding them into the hop machine. 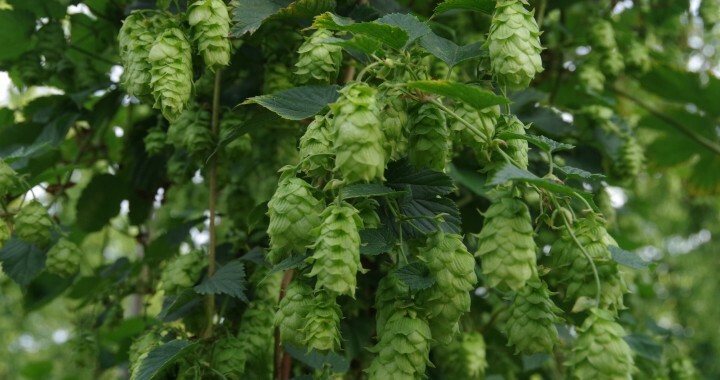 The hop cone at first also looks dainty with cute upturned tips like a miniature Chinese lantern, but beware, underneath this facade is hiding an uninhibited riotous and wayward character. 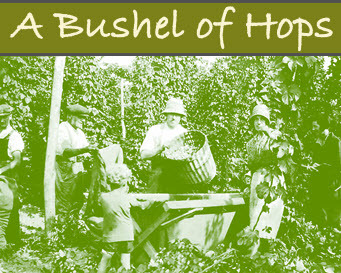 Deceptively pretty, but these are the wild girls and ladettes of the British hop family. Take a close look at the photo below again, can you see? naughty not nice! On a night out they begin by looking deceptively feminine, but a few quickly downed shots before moving on to some more serious drinking and they rapidly become over boisterous. They maybe fun, but things can rapidly get out of hand and they would frequently get themselves and anyone else with them into trouble. 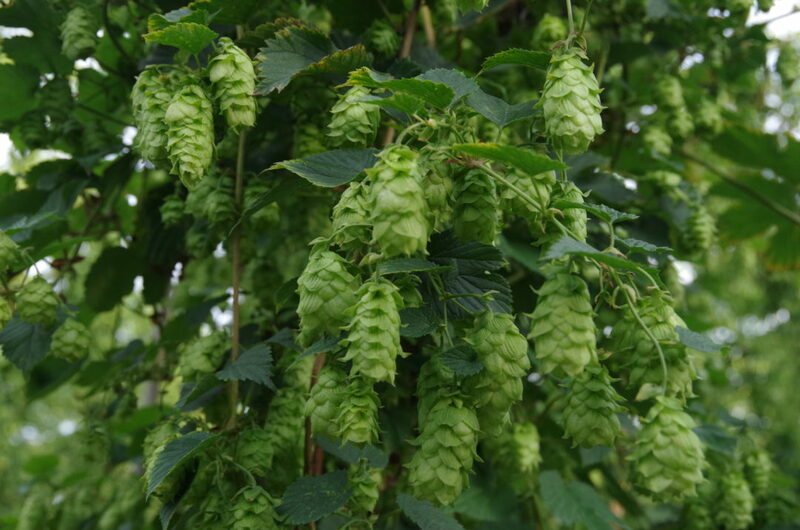 In their favour, they look good as decorative bines as the hops cones crop along the length of the bines without excess leaves as they ripen to harvest. As a brewing hops Pilgrim are a dual purpose variety with pear, berries, grass and autumn fruit aromas mixed in with some spice and citrus notes. But if hops were people then you’d best beware of these wild undisciplined Pilgrim girls. I will be continuing with more in this series during 2019.